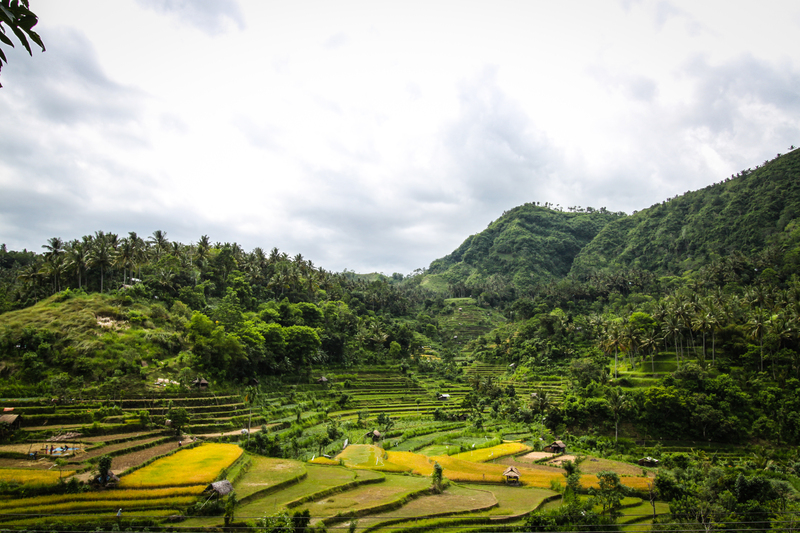 Bali is gaining momentum as one of the hottest travel destinations in South East Asia. I’ve been lucky to have lived an hour’s plane ride away for the past year and a half and have taken full advantage of the short and cheap commute from Java. If you’re headed to Bali, here’s my rundown of the island’s hottest regions, accommodation, and eats. Famous for its year-round spring break attitude Kuta is renowned for attracting travelers looking to have a good time. 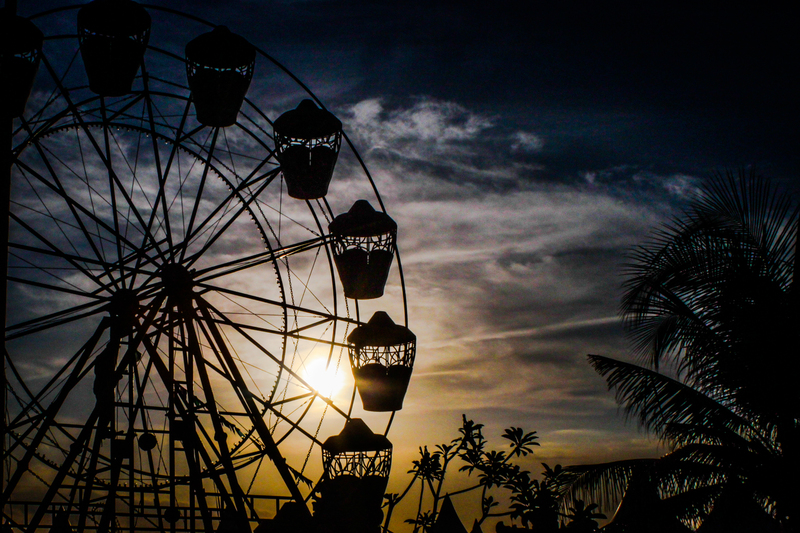 With its plethora of bars, clubs, and spas this part of Bali is always buzzing with activity. It is the closest region to the International Denpasar Airport and can serve as a great place to stop, eat, and rest one’s head before heading out to other regions of Bali. 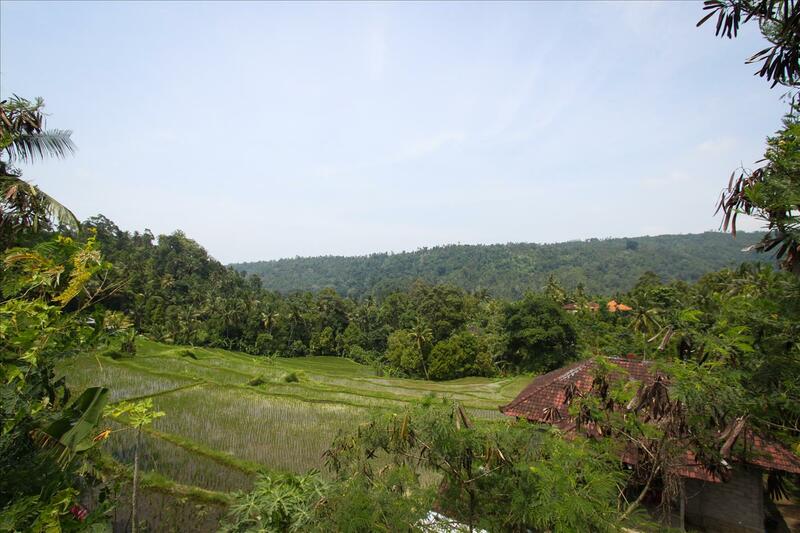 Known as a major cultural hub of Bali, Ubud is a relaxed green forest inland region of Bali. It offers the chance to view Balinese dances and ceremonies, visit countless temples, and buy authentic handicrafts. The terraced rice paddies of this region make it especially picturesque. 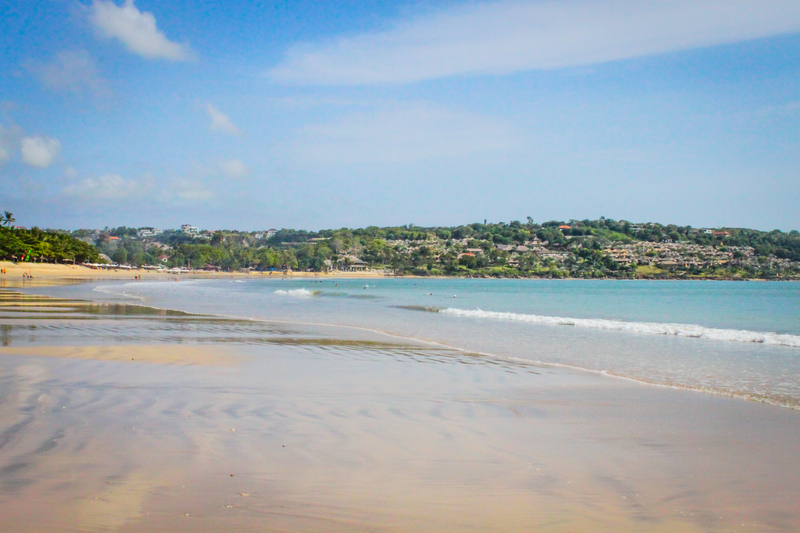 For those who travel luxuriously, Jimbaran has multiple 5-star hotels, resorts, and spas to choose from. This area of Southern Bali has a clean coastline and offers fresh seafood at multiple restaurants beachside dining that any visitor can drop in and enjoy. This area of Northern Bali is famous for its dolphins and black volcanic sand beaches. It offers a view into modern Balinese life and is very reasonably priced. It has cheap tours that will take travelers to historic palaces, waterfalls, and temples. This area of North Bali is a diver’s paradise with access to nearly all of the best diving spots in Bali. The marine life is particularly diverse in this area. Tulamben also offers very well priced accommodation and diving packages. I got my Advanced Diving Certificate here! Great for the budget traveler and a really nice atmosphere with an excellent Cuban Mexican restaurant attached. If you’re traveling in a group this place is spectacular. It offers 2 rooms in the villa and one ensuite private poolside room outside, amazing views and gorgeous landscaping. Complete with a sweet Indonesian couple to cook guests’ breakfast, assist with errands, and service each room. I wish I could live here. The atmosphere and hospitality of the Mina Bali Bungalows is top notch. The prices are amazing and each bungalow has a color theme and its own outdoor shower and bathroom. Dinners are held each night and all the guests are invited to eat family style together. Where else are you going to try the world’s most expensive coffee for less than the price of a Starbucks venti latte? 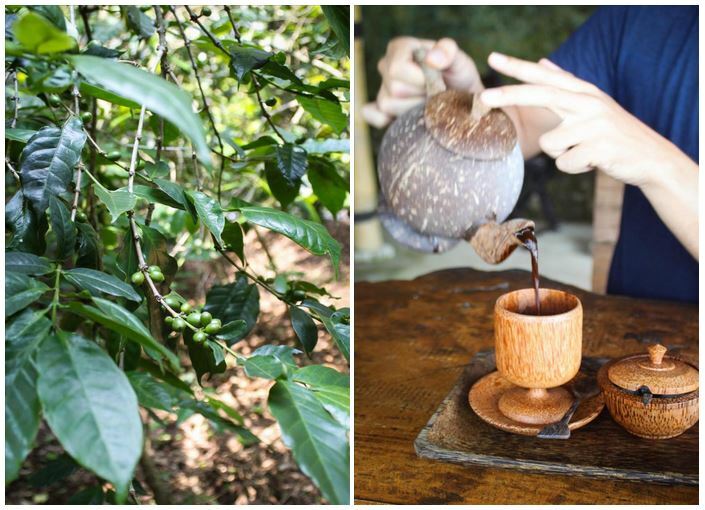 Made from the droppings of local civets, trying this coffee is a bucket-lister for sure! Indonesia’s most famous dish comes to life in dozens of varieties. You could have a different version of fried rice every day on this island made different styles from various provinces. Fresh seafood is plentiful, particularly in Jimbaran and Lovina. 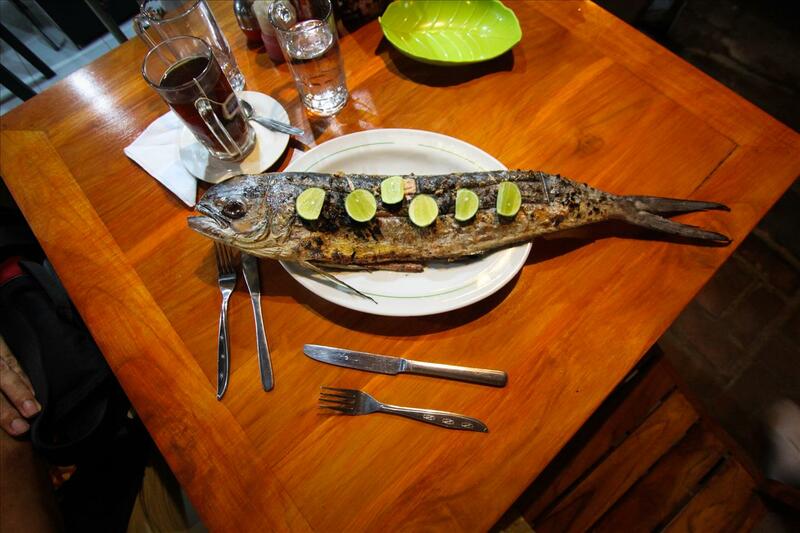 Try a fresh grilled gurami while you dine with your feet in the sand on the beach of Jimbaran. Or order a whole mahi-mahi dinner for two to split for less than $15 USD at Warung Apple in Lovina (easily the best fish I’ve ever had). Just make sure to reserve your table and fish at least 24 hours in advance as this restaurant is a major hot spot. Wherever you are on Bali there will be some delicious fresh fish, shrimp, crab, lobster, or squid.